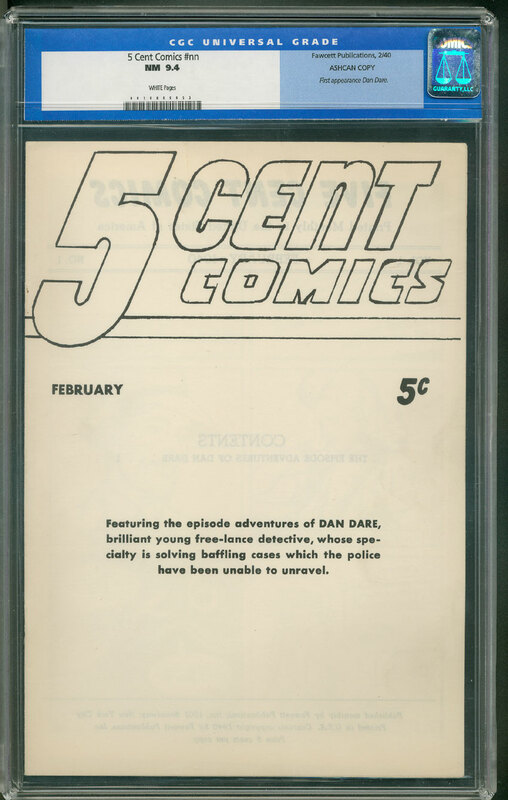 This ashcan copy was utilized by Fawcett to secure the trademark to the title, which offers the first appearance of Dan Dare. This is only one of two known copies to exist in public circulation. Surprisingly, this book is actually listed in Gerber. Not surprisingly, it is an ellusive Gerber "10"! As if it were not enough that this is the 2nd appearance of Superman, this copy was actually used as a court exhibit in the first of many lawsuits DC filed to protect its' characters. Detective Comics, Inc. defeated Brun Publications, Inc., 28 F. Supp. 399 (S.D.N.Y. 1939), thereby allowing Superman to ensure Wonder Comics #1 and Wonderman never returned again! This is also the second highest certified copy! 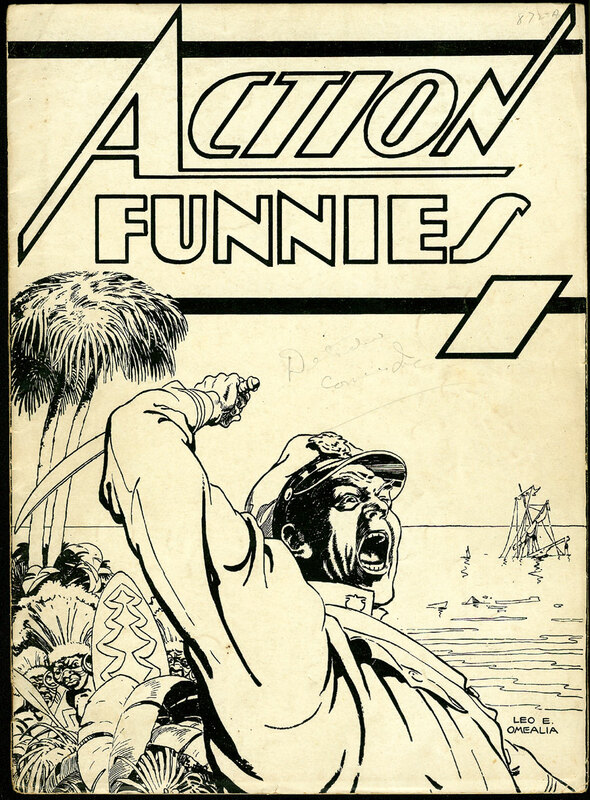 This is a rare ashcan copy of "Action Funnies", one of only three known to exist, that was used to secure the trademark to the title. 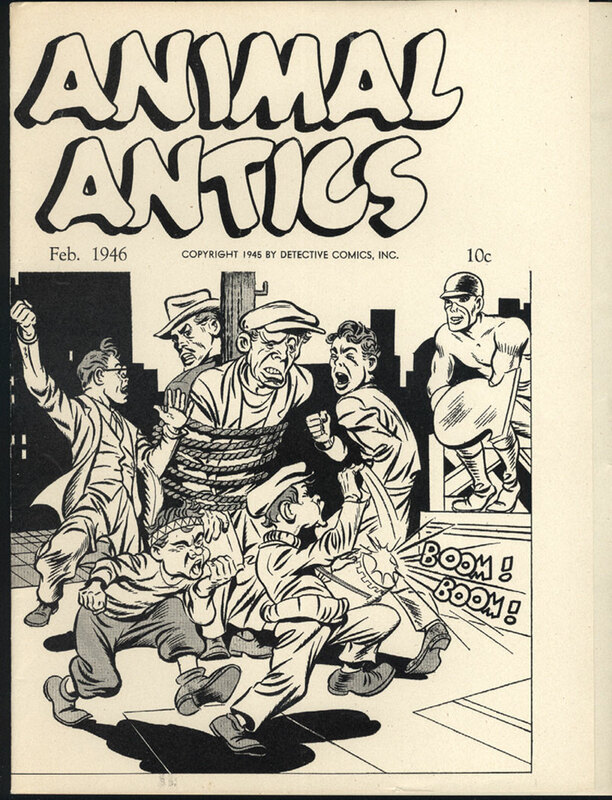 "Action Funnies" was later changed to the now legendary title "Action Comics". 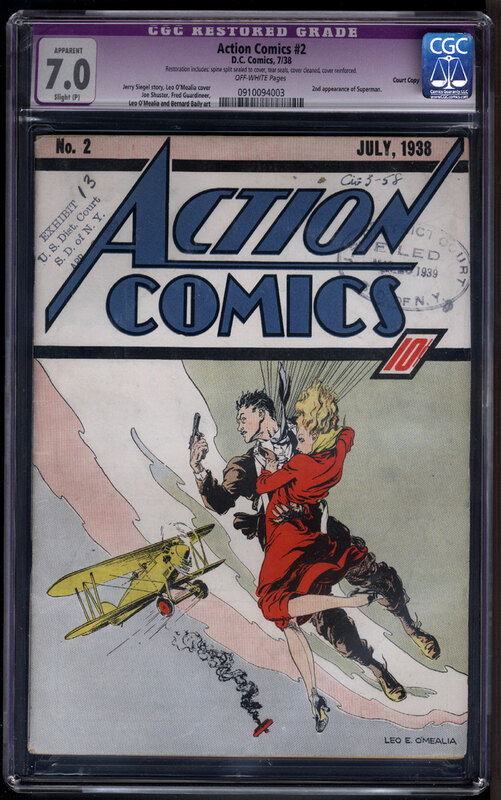 The cover art was later used for Action Comics #3, and the interior features 12 pages from Detective #10. An unusual example of a Gerber no-show book. 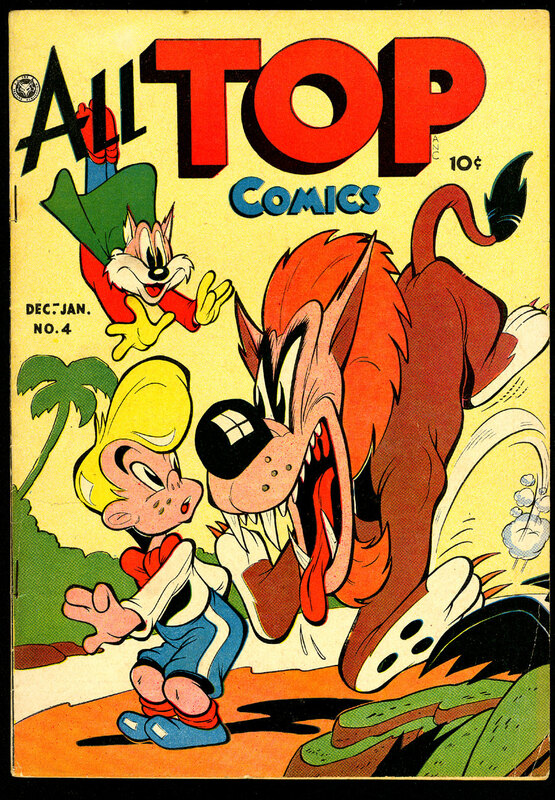 Published on the 20th anniversary of the creation of the Comics Magazine Association of America, which issued the Comics Code to stave off criticism and fear of the industry. 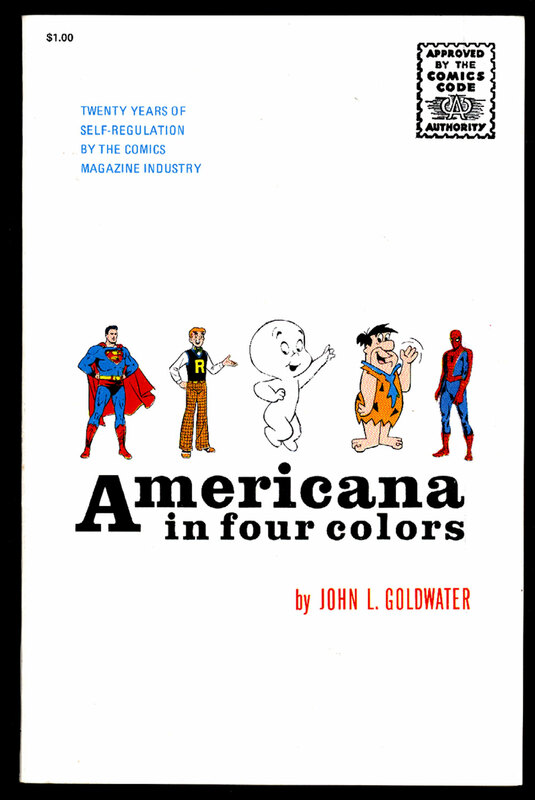 Goldwater was also the founder of Archie Comics. Cover only. Art is from Star Spangled #49. D.C. used the title beginning Mar-Apr 1946. Approximately 10 examples exist.